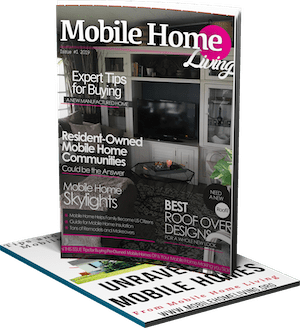 Is the Mobile Home Stigma Disappearing? If you would have asked me 10 years ago if I thought it was possible for the mobile homes stigma to disappear I would have probably laughed at you and asked if you were serious. If you ask me that same question today I’d say yes, it is possible for mobile homes to lose their stigma and it’s happening right before our eyes! 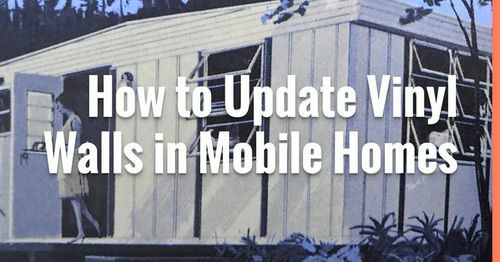 Mobile home owners have dealt with stereotypes and stigmas since the beginning. The American trailer industry was in its infancy in the late 1930’s. Due to WWII, they had to produce thousands of homes for the US government to house migrate workers, a necessity to keep the country going during the war. The industry didn’t have the experience or the materials needed to build the homes properly and thousands of people lived in poorly designed and poorly built trailers for several years. From there, it was an uphill battle to get affordable housing accepted in communities and towns. 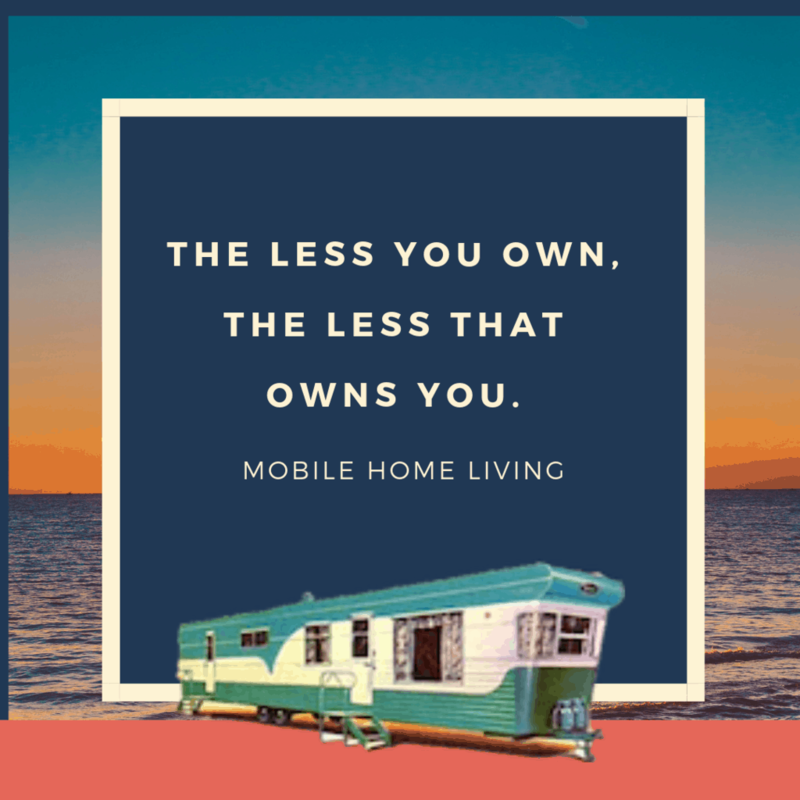 You can read more about this opinion in our article titled How the Mobile Home Stigma Began. Those of us familiar with the homes understand their many great benefits but we’ve always had to deal with the stigma and smile politely whenever we hear the words trailer trash. So, Is the Mobile Home Stigma Disappearing? The other day I was browsing a popular site called Imgur and came across something that made me smile. Imgur is a popular image sharing site that was developed for Reddit.com. Users submit links to Reddit using Imgur because Reddit only accepts links and text and readers vote on them. Submissions with the most votes are featured on the front pages. 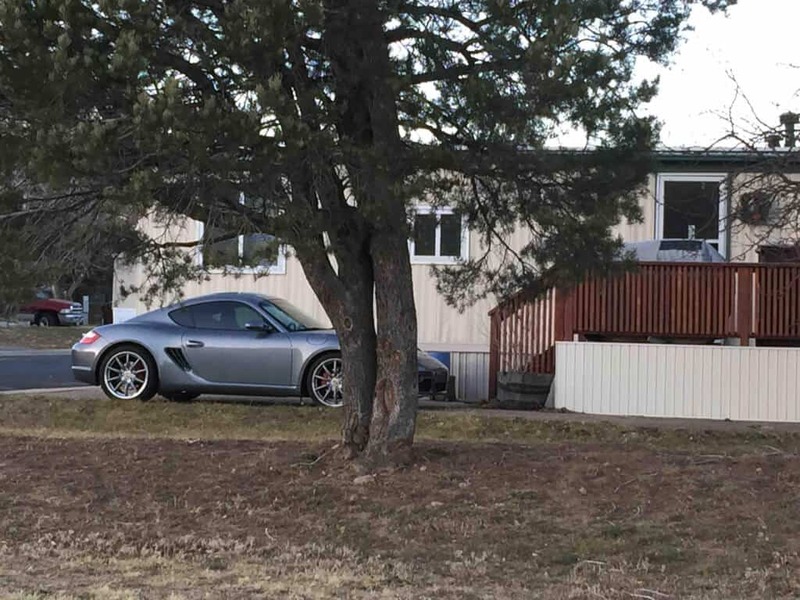 If I had to guess, the person that submitted it meant it to be a negative connotation because a fancy car is parked in front of a mobile home and that meant the owner had their priorities all wrong. I mean, why would anyone want to live in a mobile home, right? I expected to see some depressing comments agreeing with the submitter but I was wrong. Very wrong! Before I show you the comments, I think its important to tell you about Imgur’s readership. Wikipedia states that the median Reddit user is a male American between the ages of 18-29. Females within the same age range are the second largest usergroup on the site. These are young adults standing up against the mobile home stigma! I don’t think you would have seen anything like this happen 10 years ago. At least, I don’t recall ever seeing anything like this before. 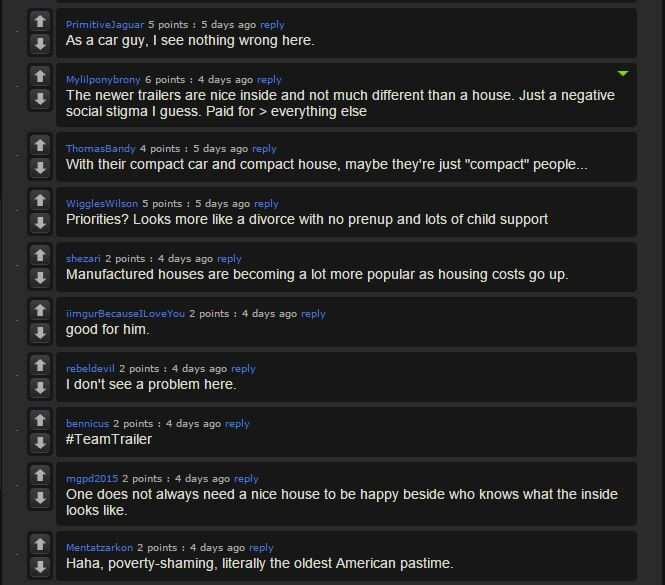 I’m used to reading ignorant, biased, unbecoming comments when manufactured homes are mentioned anywhere online. It’s refreshing to see these people standing up for affordable living and it gives me a lot of hope that perhaps others will realize that living within your means is just as great as living in a site-built home with an outrageous mortgage. As I was reading these comments, I couldn’t help but smile. I found the Sahara Park over thirty years ago for my father. It was like going back in time. So when it was my time to look at my options I went with living at the Sahara in Palm Springs. I’d spent years restoring travel trailers over the last twenty years so when I looked for a trailer/ Mobil/ prefab I picked a vintage model. This is my fifth one and hopefully last one. I wanted a 55 and over as they tend to have rent control, which mine has. The monthly rent is under $500 a month and it’s all owner occupied. As it started out in 1955 as a most Delux Park over time the trailers came out and mobiles came in. Or now some prefab. The one sad thing is if my home burned down I would have to replace it with something no older then seven years, electric reasons so I love that I have a ‘55 Fleetwood Custom 10 X 55 with two add ones and lots of land around my rig. It’s more fun to tell people that I live in a trailer and then when they see this they get it. I’m going to post pictures for Crystel of my before and afters. At one time this place was so far off the beaten path that it had its own barber shop and little market. Last year I found the barber chair in the storage room. After a little negotiation I bought it for my clients who come to me in Palm Springs. The two parks I like the best is mine, The Sahara and in Rancho Mirage Bing Crosby’s Blue Sky. It’s 55 plus but there you own the property so the cost goes up. The HOAs are $250 a month. Not bad. I’ve been having issues with my commenting system (It’s a fine mixture of pure neglect and not knowing how to do something). I didn’t see this till now, sorry! I’d LOVE to see all your pics! Blue Skies is my retirement dream! Oh my gosh, I am glad I stumbled across this site. I grew up in a “trailer” and was always embarrassed. It’s a shame this whole Reddit craze didn’t take hold about 20 years ago. Ugh. That thread also made me smile because I had a feeling the tide was turning. How could it not with this whole tiny living revolution. 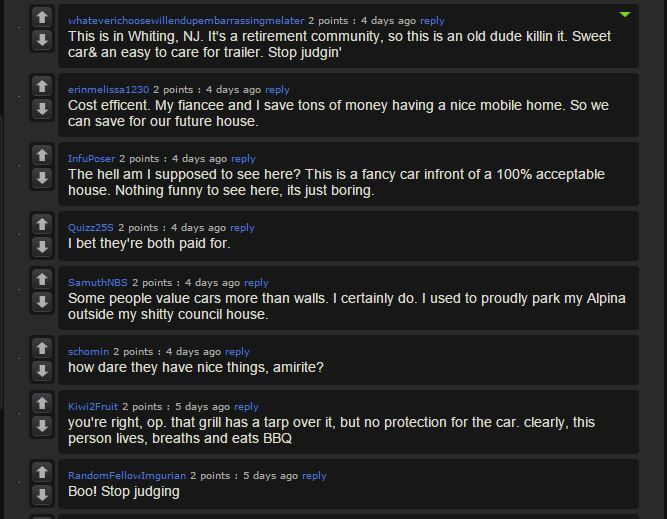 I, too, run a blog about personal finance/early retirement and it seems to me that trailers (that’s what I call them, because that’s what we always called it) were the original tiny houses. I spent my entire life trying to escape the stigma of my childhood and, in recent years, all I want to do is move back to the trailer. Ha! I would absolutely love to cut my living expenses down to almost nothing. They’re relatively low as-is, but they could be dramatically lower. Ahhh, you live and learn. Thanks for this site! Great to hear from you! I’ve just read a couple of posts on your site, Mad Money Monster, and I love it! You’re entertaining and informative at the same time and that’s hard to convey on a screen. Great site! We have lived in our double wide for over 16 years. We have over 1.5 acres, a very nice carport with storage area, lots of landscaping and a very nice shed with siding that matches our house. Plus a paved driveway. We have remodeled most of the rooms in our house. I was recently looking at houses for sale in our area (not because we want to move…just looking). I think our double wide looks better inside than 85% of the houses that are for sale in the $200K to $850K price range. And my kitchen is 13 by 22…..don’t see many kitchens that big in the houses we have been in. I do admit feeling like we are looked down on sometimes because we live in a double wide, but it might just be me imagining things. No one has ever said anything negative to us, and we have had multiple people tell us how beautiful our house is. It sounds to me like you have a gorgeous property! I do the same thing – I love to look on Zillow and see what the homes in my neighborhood are going for and I feel like sometimes people judge me for living in an older mobile home. Thankfully, the times are changing and living within your means and in smaller homes is more accepted. Thanks so much for reading MHL – I hope to hear from you again. Made me smile too, until I read comments in the pictures. People judge. It’s sad. I commented on another post here because i just found your blog and love it. Funny thing is we just bought our home late in life (empty nesters) and it is a mobile home we are going to remodel on a huge piece of property. And guess what I drive a BMW so I guess I can send you my picture of my home with my car. 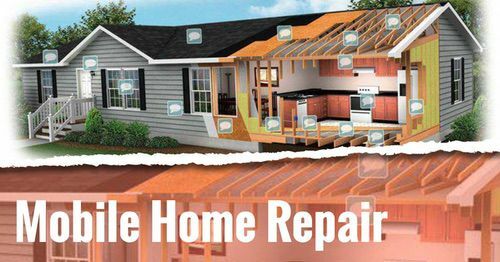 However, we plan on getting it paid off quickly and when we are finished our remodel it will be a home we love without the stress of a huge home we were renting. On ward and head held high! I drove a BMW for a couple years while renting an early 1980’s model single wide! It was a great little car that I paid cash for and I never thought a thing about it. Never even crossed my mind that it was an odd combination – it was a car that got me from point A to point B and that’s all I cared about. I would’ve kept it had the parts not been so expensive – once one thing broke it all seemed to break! We’d be judged either way, as long as you’re happy that’s all that counts! Hubby and I have a beautiful wooded 1-acre corner lot across the road from a lake (no lake taxes) that we are retiring to in just a handful of years. We put in a newer 2 bedroom mobile home with a bay window looking out towards the lake. We spend our extra time redoing the interior (paint, flooring, bathroom fixtures and kitchen cabinets) and enjoy making it our own. Everything is bought and paid for and the taxes are minimal for a mobile home. We are so looking forward to retiring there! We lived across the road from a lake once (High Rock Lake in Lexington, NC) – I loved it! Thank you so much for sharing – I appreciate you taking the time to comment and hope to hear from you lots more! We have had our doublewide mobile home for 20 years now. It needs some improvement, but what 20 year old house doesn’t. We are in the process of working on our house and see no sign of moving. It’s nice being able to say “it’s paid for”. It’s great to hear from you! So happy for you – having a mortgage-free home is one of the smartest decisions we’ve ever made and I’m sure others will say the same. Thanks so much for reading MHL and for taking the time to comment – I hope to hear from you lots more! I was thrilled when I ran across that post! I think in a few more years we will have the stigma beat! Great story… Times may be a changing. 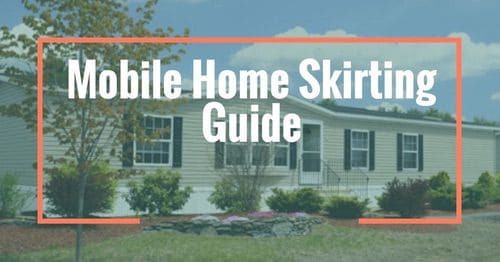 Hi there: I love your posts and I also love mobile homes!!! So, call me trailer trash. My first home was a 1969 Pyrmid mobile home 10 X 45. That was 37 yrs. ago next month (Feb.) I had it until late 78 and have never forgotten it. It was a well built little place and hardly a day goes by and think, “I wish I knew where that little trialer was now, if it were avilable I would buy it back and have it for a cottage/camp. It was the cutest little thing and I was so happy in it, but as per, we always want bigger and better and I was never any happier in the larger ones than I was in that one. I think I must have been a gypsy in another life:)) I remember as a child always wanting to live in a trailer. Well, it’s come almost full circle, for the past 7 yrs. I’ve had a trailer at a campground and love it. I had a 27ft. and loved it but upgraded to a 31ft. with a double slide and it’s like a little house, I do love it but have had some issues with it from day one, but nonthe less, when I’m there, I absolutely love my trailer. I often think I would love to buy an older one and redo the inside of it like some of the posts and idea’s you’ve shared on this site. Keep up the good work, love reading about them all. It’s great to hear from you David! I still think about our first home on High Rock Lake too! I wonder if the people living in it enjoys it as much as we did and appreciates it for its simplicity and beauty. I sure hope so! I just read something about how we all want bigger and better but once we get it we aren’t as happy as we thought we would be – I wish I could remember where I read that cause it really hit home with me – I’ve been wanting a bigger home cause I think having my own office would make me more productive but I bet if I get it I’ll learn that nothing can make me more productive except me. Might be a good lesson for me to learn! Thank you so much for sharing with me – I love to hear from others that enjoy their little piece of paradise. Hope to hear from you more and thanks so much for reading MHL! We live in a mobile home community near a Salt Marsh Preserve in a coastal California town. Our home is worth over $500,000, and I have to admit I was embarrassed to tell people I lived in a mobile home! Now that I’m retired (early) and can walk to the beach every day, I am so happy I didn’t let that deter me. 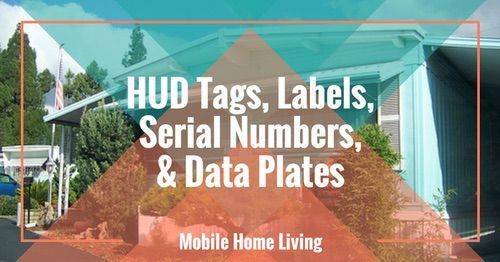 Mobile home living… woohoo! I admit to letting the stigma get to me as well so it really made me happy to see those comments. I would love to see your home someday – I bet its gorgeous! Thanks so much for reading MHL and taking the time to comment! Again, loved this article too! Will be embarking on my own 1966 Marlette remodel come spring. Excited to get started. Need all the advice and ideas I can find, and your site is the best! Hi Sharon! I’m always happy to help! If you have any issues just let me know! 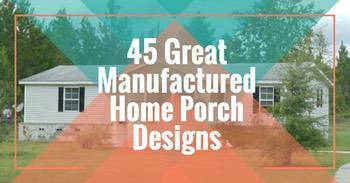 PS please take lots of pics – I’d love to share a complete reno on a ’66 Marlette! Thanks so much for reading MHL! Love Our Mobile Home Living. This is the 4th home we have had. We have a couple of friends that have been in our house and it is a newer one,2008 model, that still put the stigma on it when we are talking houses. Oh well for them. My website is not really a website. Just my Flicker photos but it is all about our Mobile Home, yard and animals and a work in progress that will probably not end until I can no longer work on it. We live in remote country and usually long cold winters allowing me a lot of time to work inside and moderate summers for time to work on the yard. I think our house is shown parked on the side of the road about the end of the photos. It is a cute car but not practical for our country. I also noticed the BBQ. That glass work is gorgeous Chris! Thanks so much for sharing! I’ll email you and we’ll get a feature together – I know the readers will love your home! I agree fully, Crystal. A lot of people used to look down on modular homes as being “trailer parks” with all the associated stigmas, but these days it’s really started to turn around. I think it’s due in part to how a different sort of crowd is looking into manufactured homes for the convenience and amenities they provide, and the fact that so many of them are springing up closer to more metropolitan areas doesn’t hurt. More young people are seeing the benefits of manufactured homes, and as long as that keeps happening we’ll see more people view them in a positive light. This post does make me smile! My husband and I live in a nice mobile home while we’re trying to save for our future house and spend wisely. I really do dread having to tell people about my house due the social stigma. I should be more proud of and thankful for what we do have! Thanks!